"Now President of Nigeria, let's see whose clone you really are!" They are boring because they aren't very well crafted, usually. MI Fallout is a happy little exception. they're doing a CGI watership down. the original traumatized me. That was a The Raid level fight. It was clearly marketed as a fluffy movie for kids, with cute and colourful animated bunnies. Edit: if you want a laugh, google "watership down" and "trauma". The Boy in the Striped Pyjamas. Didn't see that ending coming. Man in the High Castle has become a bit of a slog this season. It was never the greatest of shows, but I stopped caring about nearly anything except the nazi/japanese intrigue subplots. 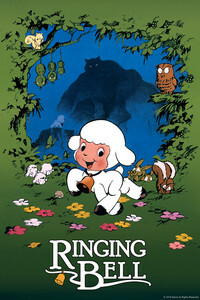 The movie opens with a baby lamb named Chirin living an idyllic life on a farm with many other sheep. Chirin is very adventurous and tends to get lost, so he wears a bell around his neck so that his mother can always find him. His mother warns Chirin that he must never venture beyond the fence surrounding the farm, because a huge black wolf lives in the mountains and loves to eat sheep. Chirin is too young and naive to take the advice to heart, until one night the wolf enters the barn and is prepared to kill Chirin, but at the last moment the lamb's mother throws herself in the way and is killed instead. The wolf leaves, and Chirin is horrified to see his mother's body. Unable to understand why his mother was killed, he becomes very angry and swears that he will go into the mountains and kill the wolf. He leaves alone, and when he finally comes upon the wolf he challenges him to fight. The wolf simply ignores him and walks away, and Chirin follows. This continues for some time, and Chirin realizes that the only way he can fight the wolf is by becoming strong like him. After much begging, the wolf relents and tells Chirin he will train him, knowing that Chirin intends to kill him one day. Chirin's training lasts well into his adulthood, and by this time he has become a vicious killer, and views the wolf as his father. Together they travel the mountains, killing indiscriminately. One night the wolf takes Chirin to the farm where the lamb was born. Chirin claims not to remember it, saying that his home is on the plains with the wolf. The wolf watches while the ram graphically fights the farm dogs, then watches Chirin enter the barn, where the terrified sheep have gathered, while the wolf waits outside. Chirin spots a very young lamb that strongly resembles himself, cowering in the middle of the barn, and as he approaches, the lamb's mother throws herself in the way. Struck by this similarity to his past, Chirin is startled and confused, and leaves the barn without killing the sheep. When the wolf demands to know why, Chirin tells him that he can't bring himself to do it. The wolf walks towards the barn to do the job himself, and Chirin begs him to spare the sheep. When the wolf will not listen, Chirin becomes furious and charges at him. After a brief fight, Chirin impales the wolf on his horns. The wolf expresses his gratitude and pride for Chirin, and dies. Chirin is saddened, but turns to the sheep in the barn, who quickly shut the door. When Chirin tries to tell them that he grew up on the farm, none of the sheep believe him, saying that such a terrifying animal could not be one of them. Chirin gives up and returns to the mountains alone. As Chirin stands by a pool of water near the wolf's den, he hallucinates the wolf's reflection in the water next to his own. He turns to see the wolf, but realizes he is alone. Chirin stands alone in the mountains, yelling for the wolf, as the snow begins to fall, and as the movie draws to a close the narrator informs the viewers that no one ever saw Chirin again, but that the faint sound of his bell can still be heard in the wind on a snowy night. Oh that sounds awesome for the kids. 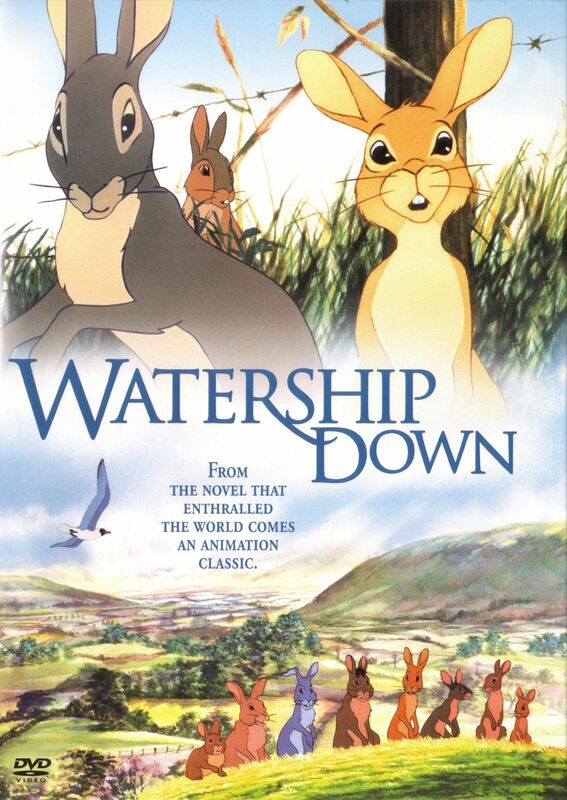 Though I still think Watership Down wins in this category - for sheer hallucinatory horror. Oh, I've watched Watership Down. Let me guess: this lamb cartoon is Japanese? The whole movie on youtube? Awesome. I'm gonna watch that. Ringing Bell is pretty great. It's definitely in the "children old enough to understand it won't probably care for it" category of animation, though. Is 'Sicario 2: Soldado' worth watching?